HOMI and WGSN together again to explore the evolution of style. HOMI, the Fiera Milano Lifestyle Trade Fair and incubator of trends, will once again play host to WGSN expertise, the international leading company in market analyses, style forecasts and the consumer, with a special focus on fashion and design. The world moves at a fast pace: identifying new stylistic ideas becomes fundamental to making design creatives and sector operators aware of where consumer preferences are heading and mindful of the standards that are slowly being consolidated in terms of aesthetics and usefulness. 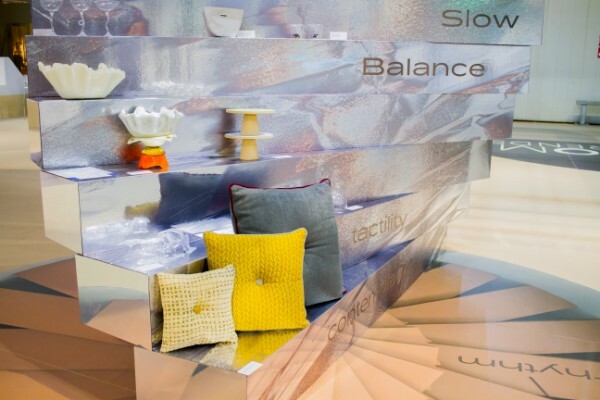 The trends identified by WGSN for the public attending the event will be recounted in the HOMI TREND AREA, where they will be presented by means of a specially staged space, brought to life by screens and explanatory captions. Global shifting trends tell the story of an atomised world that unites around specific individuality: people feel that they are the protagonists, they choose their own styles combining different proposals and various aesthetic codes to build and express their personalities through an original interpretation of the market's offering. Designers and producers are required to understand this trend, accommodating the desire for individual self-affirmation. Another trend is represented by the preference for long-lasting and simple products that have been designed to satisfy a concrete necessity, items that are easy to use, solid and well-defined in terms of intended use. This is the ‘smart’ outlook that requires design to be immediate like a touchscreen, so as to return material reality to the fore, and contrast the evocative strength of the virtual worlds in our smartphones, which have provided a fascinating alternative for some time now. Last but not least, the inspiration provided by city/countryside, urban/rural worlds characterises an additional suggestion in terms of changing styles: the city, with its variety, lights, multiculturalism, freneticism and enthusiasm, recalls practical, immediate and portable products, while the countryside, with its serenity, soft colours and life defined by the alternation of day and night and the seasons, instead evokes products made from natural materials that effectively complement this slower pace.